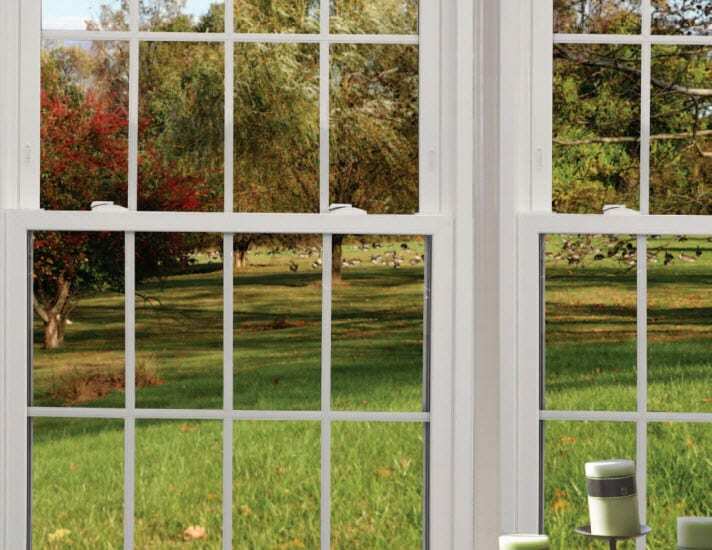 Are you looking at your Basking Ridge windows from the inside, the outside or both? What happens when you combine practicality with aesthetic beauty? Homeowners have a lot to consider when planning to buy or replace Basking Ridge Windows. The cost of windows will always be the number one concern. People must work within their respective budget as a primary concern. With your budget in mind, you need to answer a few more nagging questions. Are Somerset County Okna windows easy to clean? Will the new windows be capable of holding an air conditioner? Replacing all your windows may be the way to go instead of trying to match the existing windows. How much natural light will impact them directly? Finally, how will they look with the rest of the house? 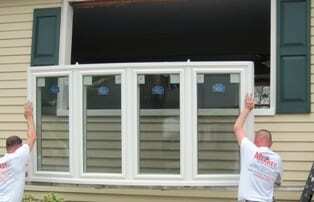 Basking Ridge windows are our specialty! No matter how practical we want to be, we must like the way they look. The answer to that question is usually how the shopping experience begins. The exterior view is one consideration. The value of your home can be directly affected by the street appeal. Picture windows or bay windows are more noticeable. Any windows in clear view differ from those rarely seen. Windows on the second floor should have a similar appearance to those on the first floor. How you frame the windows makes a big difference to the overall look from outside. In new construction we expect to find all of the windows matching. Finding a window’s exact make and model can be difficult. Do you have multiple windows in one room but only need to replace one? Mismatching windows in the same room is usually a big concern. Your contractor can take a matching window from a room with a single window. At least if you don’t find a perfect match, the replacement window will be isolated from the others. When you sit in a room with a westward facing picture window, natural light isn’t always a good thing. There are solutions to this situation. Not every suggestion is practical for every home. Planting a tree can solve the issue unless it blocks your view. You can just as easily diffuse the excessive light with plants on the inside. Hanging plants and planters allow more creative ways to absorb the sunlight without blocking the window completely. You don’t have to take the passive approach to dealing with natural light. Advancements in window technology offer more options to take control of your environment. Replacement windows include a variety of tinting options for dealing with the sun. Is your skylight causing discoloration on carpets? You can protect your home from excessive light without losing visibility. Why cut off the beauty of the setting sun when a new window can give you a breathtaking view? Windows tend to open our homes up by making them look and feel bigger. You can expect a more comfortable experience with increased visibility of your surroundings. Create the environment you crave by choosing how much light passes into your home. This is a good idea if you’re hiring someone to do anything. The more educated you are on a certain topic, the more you can understand what the contractor is telling you. It will also help you to see if they’re just trying to get a little extra cash out of you. You can specifically research the style of window you’re interested in to see what kind of work it requires. No matter what choice you make for Somerset County replacement windows, this is a good strategy to follow. It’s never a good idea to get only one bid for the job you need done. If you only hear one price, it may be hard to tell if it’s reasonable or not. Shop around at different contractors and see what the average pricing is for the work you need done. You don’t need to let yourself be roped into something that is overpriced. It is important that all of the necessary paperwork is in order and that you get the warranties you need. Typically, a window will come with a 10 year warranty and a workmanship warranty of 2 years as well. If anything goes wrong in that time, you’re covered. You need to check with housing authorities as well to be sure that your contractor has the correct permit or license to work. Are you looking for a company to handle your Basking Ridge windows? The home with two thousand windows is a lot harder to clean. When you open your home up to increase visibility you naturally invite more work. It pays to know how hard it is going to be to clean your new windows. Homeowners with second floor windows love knowing they can be pulled inward to clean the outside. Are the new windows mildew resistant? Can you paint them? Basking Ridge windows, no matter how many you have, all need to be cleaned. We can show you all the options available for low maintenance replacement windows. Give us a call today and schedule an appointment to find out how replacement windows can transform your home.